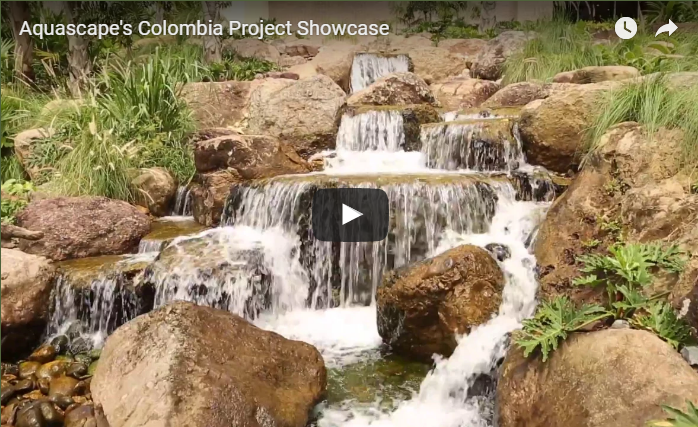 Across The Pond Aquascapes was honored to be asked to help construct this one of a kind project At La Primavera Urbana in Villavicencio, Colombia in 2016. 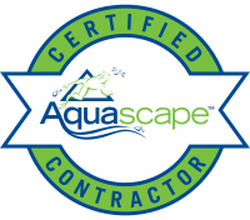 ​What is a Certified Aquascape Contractor? Master Certified Aquascape Contractors are the most qualified and informed pond installers in the water gardening industry. All CACs are required to attend continual training and education seminars and maintain a proven record of outstanding work and dedicated customer service and support. Choosing a Certified Aquascape Contractor (CAC) is one of the best decisions you can make when looking to install your own water garden. When you choose a Certified Aquascape Contractor, you are choosing The Best of the Best! Of over 44,000 contractors there are roughly 334 Certified Aquascape Contractors and 245 apprentices nationwide. Chris and Diane Baker of Across The Pond Aquascapes have been a CAC's since 2005 and as of January 2016 are one of only 13 in Pennsylvania. All CAC's understand how the pond lifestyle impacts their customers everyday. Chris & Diane live the pond lifestyle themselves, so they understand the hard to explain benefits of living with a custom water feature. Training - All CACs are trained and educated by Aquascape Inc.
Quality - A CAC's workmanship must be approved by Aquascape Inc’ own construction crew. Customer Service - CACs must provide outstanding customer service. Dedication - These pond installers are established, dedicated companies in the pond building profession. Continued Education – They must attend Build-A-Pond Days and other pond-related seminars throughout the year. Teamwork - CACs work closely with Aquascape Designs and AI's distributors to ensure only the highest quality backyard ponds are installed. All CACs must be in good standing with both Aquascape Designs and their AI distributor. A Certified Aquascape Contractor goes above and beyond the water garden customer’s expectations. When you make the decision to choose a Certified Aquascape Contractor, you can feel comfortable knowing you are choosing the most qualified pond contractor to build your own beautiful backyard water feature oasis.